The shortlist for the 2010 Arthur C. Clarke Award for Science Fiction Literature has just been announced and as usual I am filled with awe as I realise that the judges have managed to read almost as many books in a few months as I can cram into a year. 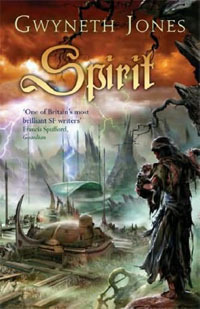 Spirit by Gwyneth Jones (Gollancz). A rich and epic novel and one that I’ve recently finished so expect a review here very soon. Gwyneth Jones has been nominated five times and won the Award once for her novel Bold As Love in 2002. Spirit is arguably her best best work since. 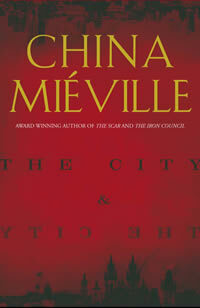 The City And The City by China Miéville (Macmillan) A cracking read and a well deserved nominee, you can read our review here. China has been nominated three times, and won the Award twice, with Perdido Street Station in 2001 and with Iron Council in 2005. If he wins again in 2010 he will become the first author to win the prize three times in its twenty-four year history. 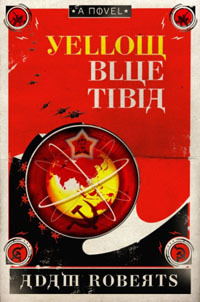 Yellow Blue Tibia by Adam Roberts (Gollancz). Adam Roberts is a previous award nominee and this part alternate history, part science fiction novel is one I haven’t yet read, though the reviews have been almost universally excellent citing it as parody, love story, farce and laugh out loud comedy – frankly I can’t wait to read it. 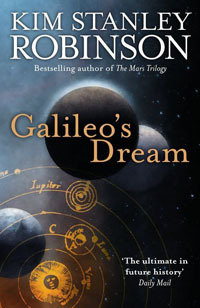 Galileo’s Dream by Kim Stanley Robinson (HarperVoyager) Kim Stanley Robinson is another previous nominee and this novel, which starts out as a historical dramatisation of the life of Galileo and then jumps to the colonised moons of Jupiter in the year 3020. Another I’ve not read but is next on my list so keep you eyes out for a coming review. 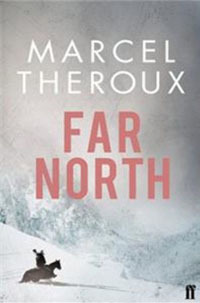 Far North by Marcel Theroux (Faber & Faber) This is the first time Marcel Theroux has been nominated for the award and on the evidence so far – I’m on page 158 – I’m not surprised to find him on here. Slow-burning, beautifully written and utterly engaging look out for the full review. 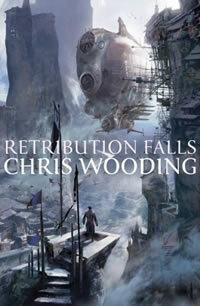 Retribution Falls by Chris Wooding (Gollancz) Chris Wooding is another first time nominee and while it’s no secret that I loved this book from beginning to end – the review is here – it’s a bit of a wild card for me as it’s an out and out action romp of the kind not usually found on awards lists but I do wish it well. The judging panel for the 2010 Arthur C. Clarke Award are Chris Hill and Jon Courtenay Grimwood for the British Science Fiction Association, Francis Spufford and Rhiannon Lassiter for the Science Fiction Foundation and Paul Skevington for the science fiction news website SF Crowsnest.com. Paul Billinger represents the Arthur C. Clarke Award as the Chair of Judges. “Shortlist time has to be one of the most exciting moments in the Clarke Award calendar, and I’m very excited to be able to present such a strong and challenging shortlist this year. The annual award was originally established by a generous grant from Sir Arthur C. Clarke with the aim of promoting science fiction in Britain. it is presented for the best science fiction novel of the year, and selected from a list of novels whose UK first edition was published in the previous calendar year. A prize of £2010 will be awarded to the winner along with a commemorative engraved bookend.